TetherPro USB-C to USB-C, 15' (4.6m) Black Cable for tethering a USB-C camera to a computer with USB-C ports. 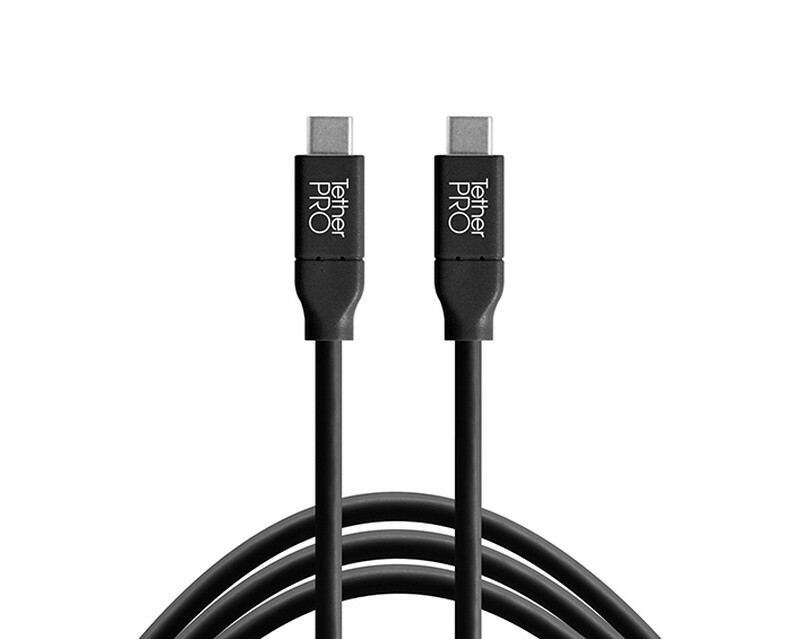 The CUC15-BLK TetherPro USB-C to USB-C, 15' (4.6m) Black Cable is the photographer’s choice for tethering a USB-C camera to a computer with USB-C ports. It allows for a straight connection with no adapters or dongles. USB-C is also fully reversible, so no matter how you plug it in, it’s always right side up.